Desert Rose is an up-market Guest House, situated in the heart of Namaqualand, Springbok, offering superb B&B and self catering accommodation at reasonable rates. Spectacular views of surrounding granite "koppies" (hills) and picturesque town are visible from your room. The guest rooms are spacious with air-conditioning. Self-catering units can comfortably accommodate 4 people. All units are non-smoking. This is a pet-friendly establishment. Breakfast is served in the dining room in the main house. This can either be a wholesome full farmhouse or a continental. Breakfast menu varies day to day. Fresh fruit is always available. Vegetarians are catered for! Also available are packed/take away breakfasts to enjoy "on the go". The communal lapa is available for a barbecue. First come basis. The self catering units have private, undercover braai facilities as well as a fully equipped kitchen. Restaurants are just a few minutes away for other meals. All vehicles are accommodated on-site with secure parking and remote access. 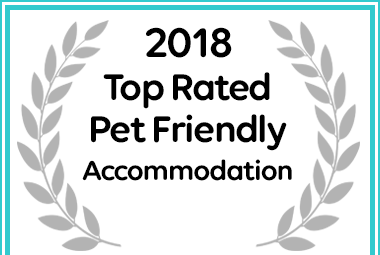 Desert Rose Guest House received a Afristay Top-Rated Pet Friendly Accommodation Award.